How are you today?!! 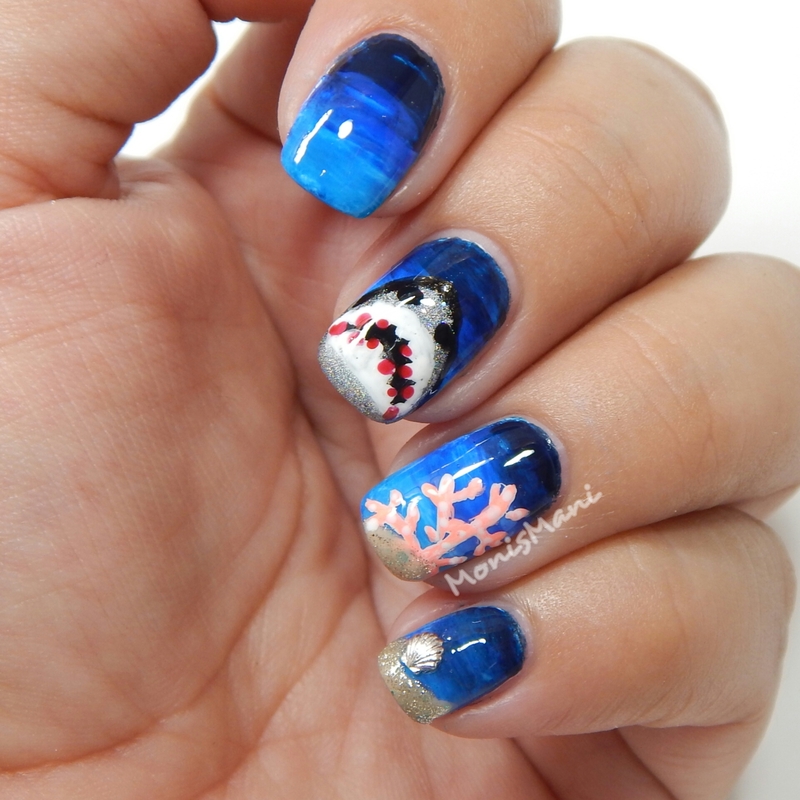 I’m super excited to show you my first ever Shark Week mani!! I’ve ALWAYS wanted to do one but for a reason or another was unable to. So today after a couple of days feeling like poop I sat down and said f** it.. I’m going for it. So I did and I really like the result. Hope you like it too! 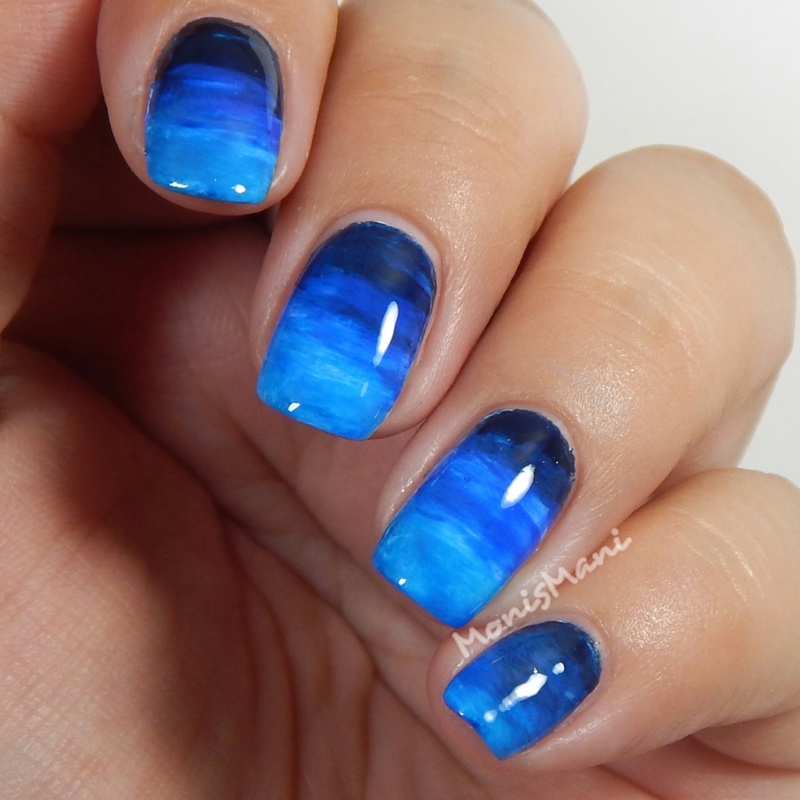 For my base I followed this tutorial by my nailgod @thesammersaurus and used from (darkest to lighter) Sally Hansen “Night Watch”, Sinful Colors “Endless Blue” and “Jolt”. I reallly liked the look and it was super easy to blend colors with Sammy’s method. For my actual shark mani, I imagined a vicious little mirrorball skin shark, the sand on ring and pinky is Pretty&Polished “the seaglass is half full” sponged with Zoya’s Tomoko . What do you think? In all honestly I prefer the base haha.. but I’m very happy with my little shark. Hope you liked the mani! 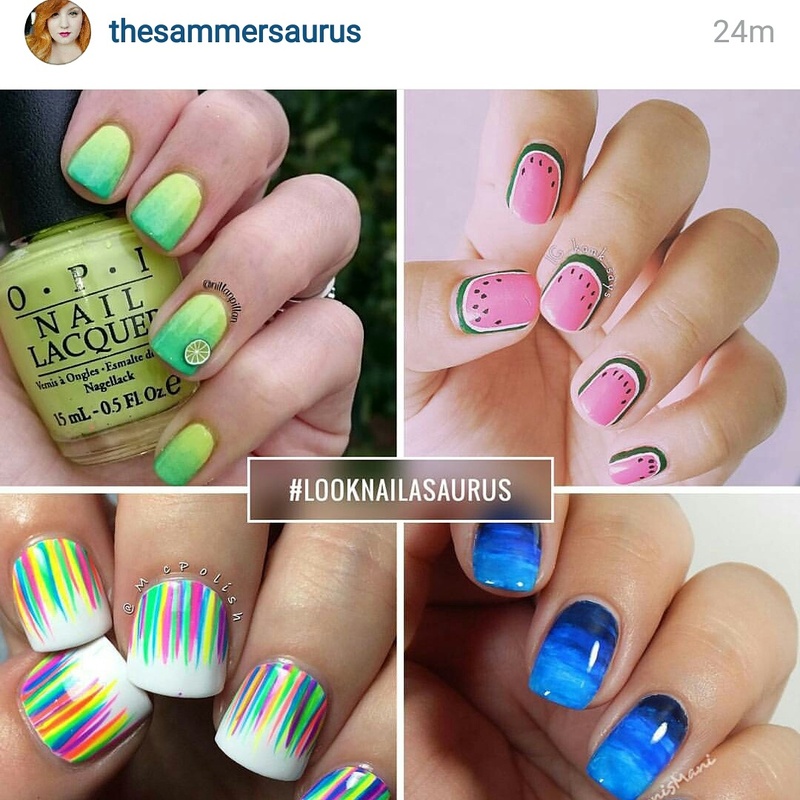 SOOO crazy honored to have had my nailgoddess The Nailasaurus mention me on her IG!!! So amazing to see the ppl you admire mention you and actually notice her followers. It’s a beautiful base but I like the shark too! Those are awesome! I love the blue base. I love your base and the shark is soo cute! 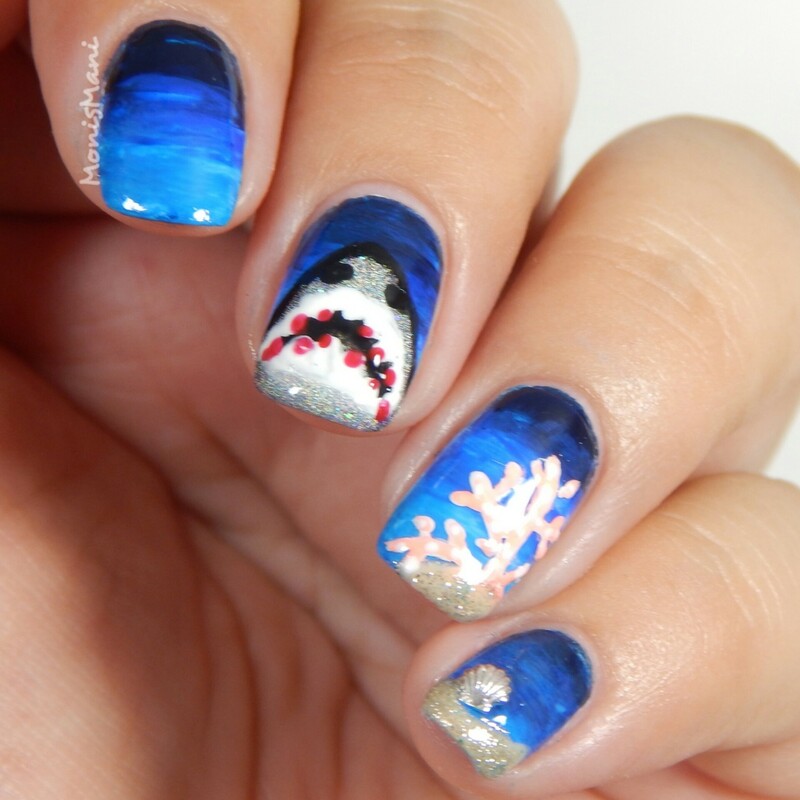 Sorry you weren’t having a good day but congrats on your first shark week mani! That base is amazing!